Sennheiser monitoring systems are trusted by professionals worldwide and now are better than ever. Featuring an adaptive-diversity receiver, the receiver pack uses the headphone cable as a secondary antenna for flawless reception. Ear-canal phones, with various ear-fitting pads for an individual fit, reproduce the signal from the adaptive diversity receiver precisely and faithfully. Pass-through outputs allow easy splitting of the input signal to travel to other devices. 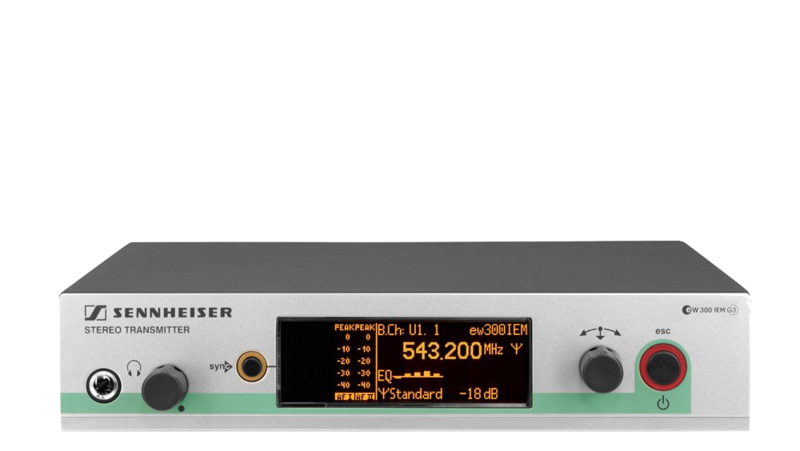 Lastly, the entire set can be monitored and remotely controlled with Sennheiser’s “Wireless Systems Manager” software due to the built-in Ethernet port on the stereo transmitter.nd audio clarity.